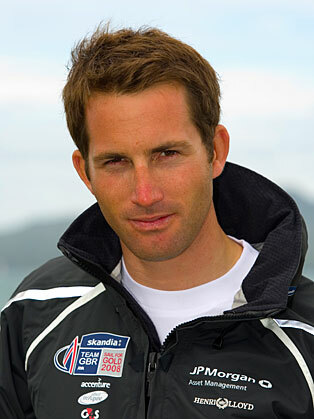 Ben Ainslie is Britain’s most successful Olympic sailor of all time! Winning silver in his first and gold at the last four Olympic Games he’s competed in. At just 19 years old Ben won his first Olympic medal - silver in the Laser class at the 1996 Atlanta Games. Four years later, again sailing the Laser, he achieved every athlete’s dream of Olympic gold at the Sydney Olympics. After Sydney, Ben changed focus and spent fourteen months with the ‘One World Challenge’ America’s Cup campaign, but soon felt that Olympic sailing, and in particular switching classes from the Laser to the Finn Class, was what he wanted to pursue at that point in his life. It was gold again at the 2004 Athens Olympic Games, in the larger Finn Class. The sailing at the Beijing Olympics 2008 was held in Qingdao a notoriously tricky venue with light winds and strong tides. Ben also fell ill with mumps days before the start of his Olympic defence, however Ben showed his champion spirit to win his third consecutive Olympic gold medal. This cemented his position as Britain’s most successful Olympic sailor of all time surpassing Rodney Pattison’s record of 2 gold and 1 silver Olympic medals. Since Beijing Ben has received many awards and accolades most recently he was honoured Commander of the Order of the British Empire (CBE) in the Queen’s New Year Honours List. Ben also became the only sailor ever to be crowned ISAF World Sailor of the Year three times (1999, 2002 & 2008) and British Yachtsman of the Year five times (1999, 2000, 2002, 2004, 2008). In January 2012 Ben launched Ben Ainslie Racing (BAR), a new team that will initially compete in the next edition of the America’s Cup World Series along with plans to join ORACLE Racing for the defence of the 34th America’s Cup.